Chicago DJ Equipment Online Superstore - NATIVE INSTRUMENTS DJ MIXERS AT THE LOWEST PRICES! 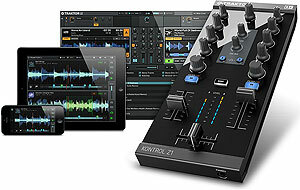 a club-ready TRAKTOR interface and two-deck mixer controller that connects directly via USB to a Mac or PC laptop, or even tablets and smartphones running iOS 6 or later. 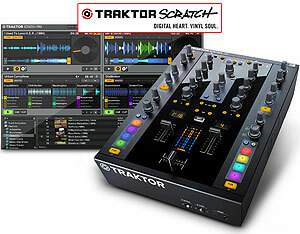 Native Instruments' Traktor Kontrol Z2 gives you groundbreaking sonic and creative control, in a powerful, affordable two-channel stand-alone mixer with two extra channels for remix decks.